Variations in low-level impurities with therapeutic proteins is a common challenge throughout the biopharma pipeline – it can adversely impact efficacy and safety. Biopharma analytical labs require quantitative, validated, automated and streamlined techniques that deliver consistent data. They must also be able to keep pace with workloads while also keeping sample prep and processing time to a minimum. Not to mention adhering to regulatory preferences. Capillary electrophoresis sodium dodecyl sulfate (CE-SDS) satisfies these demands and provides automated, quantitative purity data (i.e. glycosylated vs non-glycosylated) on both intact and reduced monoclonal antibodies. It is quantitative, automated and fast. 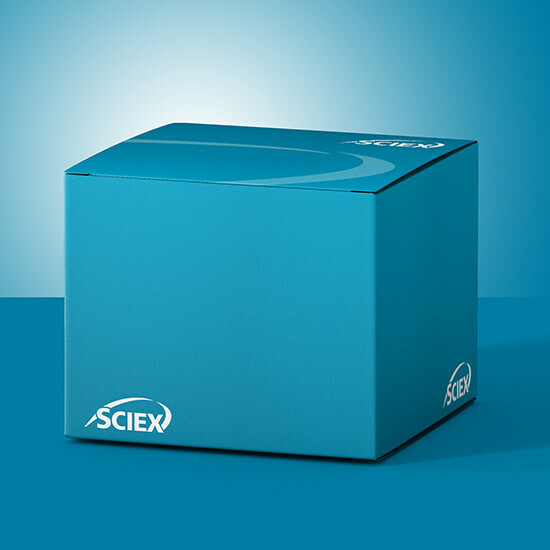 With SCIEX CE-SDS solutions you can also have absolute confidence in your data from best-in-class systems trusted by virtually all manufacturers of commercial therapeutic monoclonal antibodies. Make the right decisions based on consistent quantitation resulting from extremely sensitive technology with the only CE-SDS technology that provides reproducible raw data required for regulatory approval. This is achieved through circulating liquid cooling and thermostating for tight temperature control, leading to consistent migration time and peak area reproducibility. 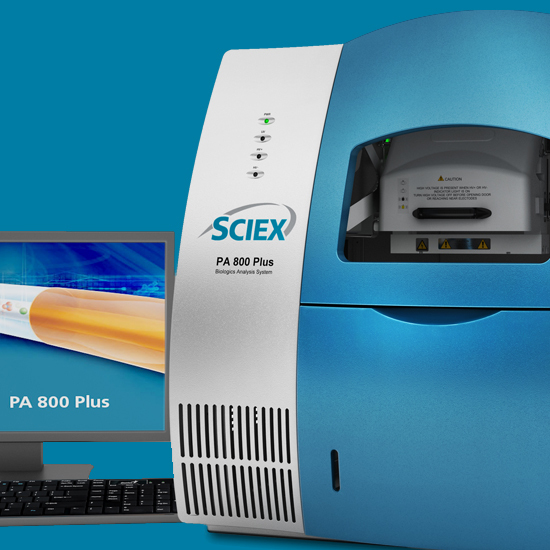 SCIEX innovative CE-SDS solutions cut through the challenges of Purity/Heterogeneity characterization, giving you the upmost confidence in your data by using leading edge methods that will improve the performance, productivity and compliance of your lab. Even small variations in temperature can affect migration time. Get repeatable results with patented recirculating liquid coolant to precisely control separation temperature. Industry proven, validated methods and chemistries (Intercompany collaborations and USP chapter <129>) ensure you protect both yourself and your organization. Only raw, unprocessed data can provide the confidence critical to both you and regulatory agencies for product submission and commercialization. The PA 800 Plus Pharmaceutical Analysis System coupled with CE-SDS Assays, help you with the development and quality control of therapeutic proteins. The PA 800 Plus is a robust analytical platform that provides characterization of product purity, charge heterogeneity and glycan analysis. The CE SDS-gel application has become the gold standard for protein purity analysis in biopharmaceutical laboratories, replacing manual, low resolution SDS-PAGE. 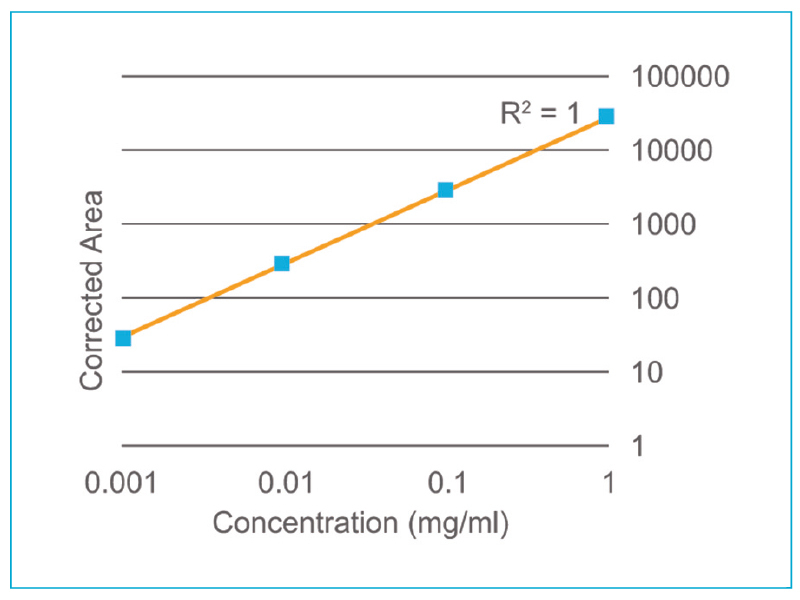 Denatured proteins can be reduced or left intact for separation and subsequent analysis. 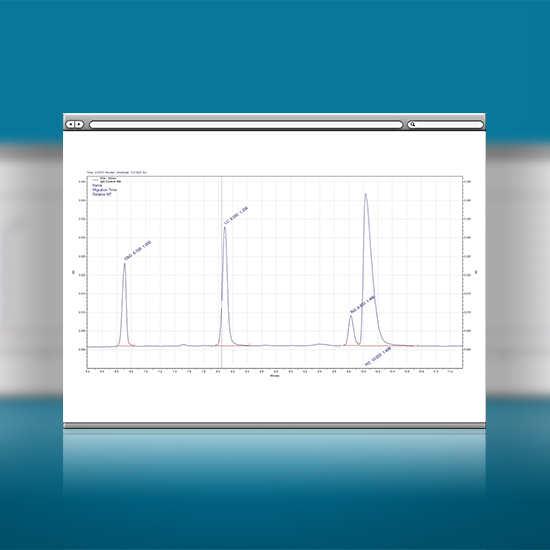 The PA 800 Plus Pharmaceutical Analysis System is a robust analytical platform that provides characterization of product purity, charge heterogeneity and glycan analysis. CE-SDS is the only way to obtain automated, quantitative purity data (i.e. glycosylated vs non-glycosylated) on both intact and reduced monoclonal antibodies. It is quantitative, automated and fast. 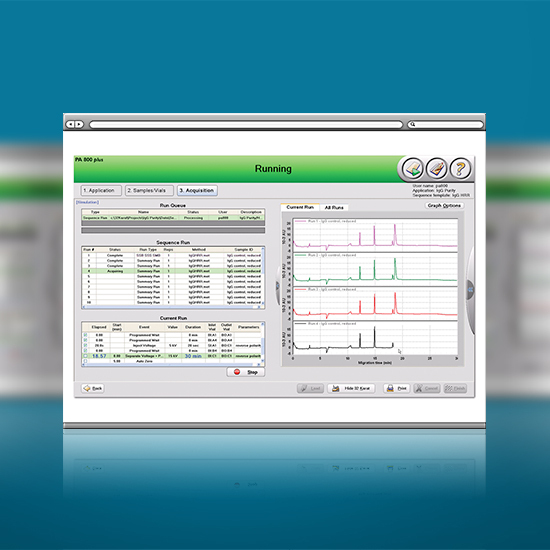 The CE-SDS kit-based assay is automated, with streamlined and user-friendly software that delivers highly reproducible quantitative data. 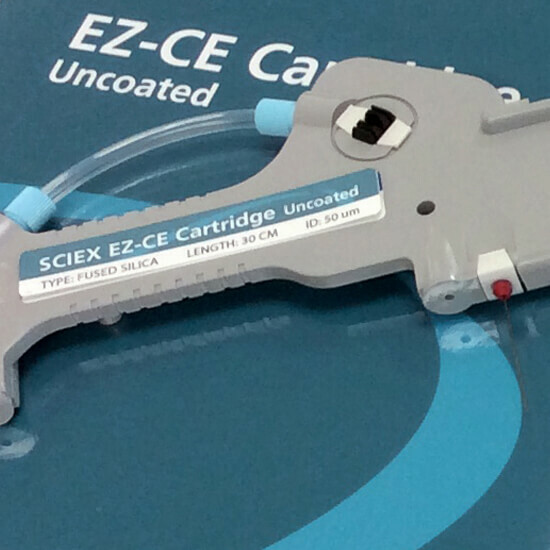 EZ-CE cartridges further enhance ease of use and data consistency. CE-SDS technology from SCIEX is proven to generate results with the ultimate accuracy, sensitivity, reproducibility and flexibility. You benefit from data quality that will have a direct positive impact on the development of your therapeutic and the conformance of your lots. Only raw, unprocessed data can provide the confidence critical to both you and regulatory agencies for product submission and commercialization. Because of its precise capillary temperature control, the PA 800 Plus defaults to displaying raw data as no manipulation is needed. 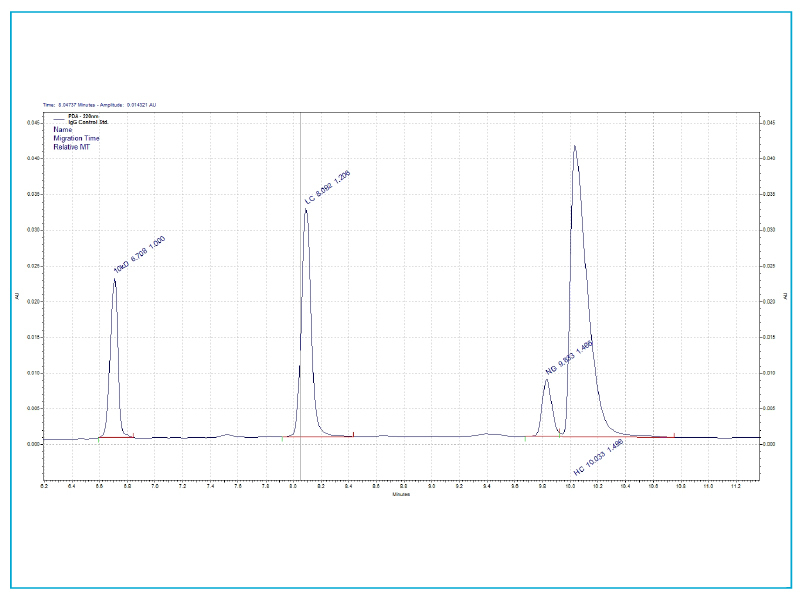 The quantitation of impurities down to 0.01% requires at least three orders of linear dynamic range of detection and quantitation – allowing you to generate consistent data with confidence. Get up and running quickly with software that’s extremely easy to use. On-screen cues, insightful help menus and descriptive system prompts simplify operator learning. 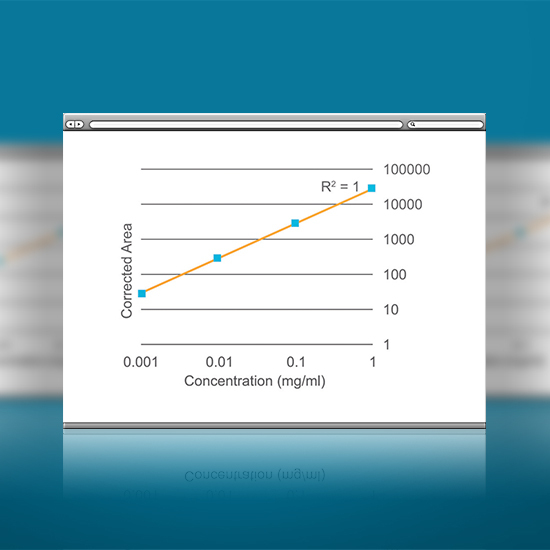 Simply select a method, follow visual cues to place reagents and samples, and hit start. Simplify your workflow, enhance data consistency and minimize staff training with the EZ-CE Cartridge. 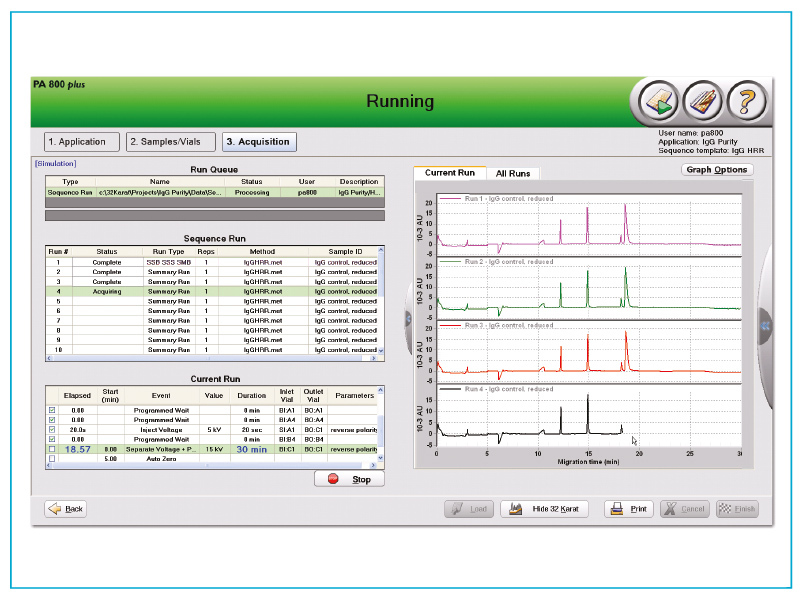 With an inventory of just the EZ-CE cartridge you can run CE-SDS, Fast Glycan, and Rapid Charge Variant analyses.